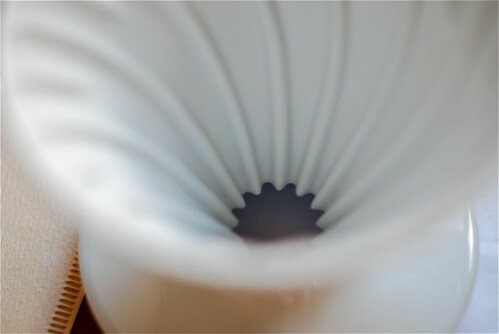 From the title, it sounds like I bought some sort of fast car or psychedelic machine, but as this is a blog about coffee, the Hario V60 is a piece of art but relates to coffee. 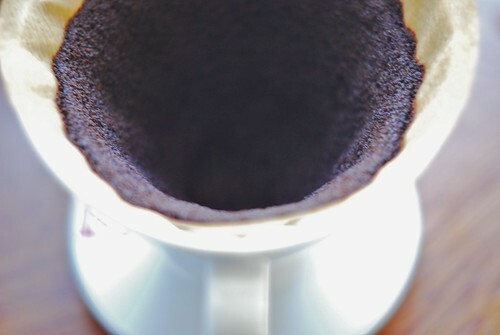 It’s developed by a Japanese company and is a different form of coffee brewing. I’ve actually seen many similar devices before but did not really know what it was for, but after skimming through many websites, of which square mile coffee roasters (London), was one, there’s been a lot of buzz about the Hario version, with a cool name, the V60. In summary, it’s a simple brew method, but the Hario V60 design, won a Good Design award and actually does makes the coffee taste different. It’s more apt for precious coffees, which will enable you to taste the more fruity and subtle cocoa elements in well roasted coffee. So, you can imagine my delight when I walked into espresso lab in Cape Town and saw a batch of them now available. I thought about it for a week and then I was sold, and bought some Ethiopian Guji Sidamo to accompany my first experience. So, here’s a detailed account of how to brew. 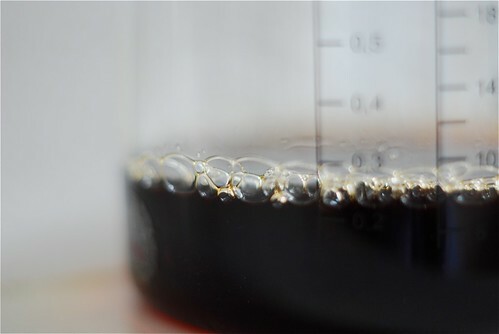 You need (i) scales to weigh the coffee (ii) your V60 (iii) unbleached filter paper (iv) a warm glass or carafe to let the coffee to filter into (v) a good grinder (vi) a kettle to boil the water and (vii) great coffee. The above is just a guideline, but play around with the method if you get one. 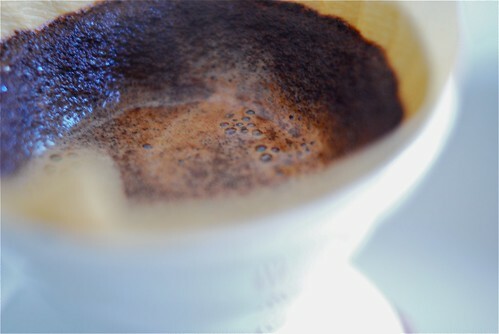 Enjoy the experience – the coffee should be light and easier to drink than a French Press. For the Ethiopian Guji I got berry and cocoa lingering tastes. I’ve just bought the organic Brazilian Sao Pedro. I’v been captivated by this method of brewing coffee and have to apologize to my lovely Bodum Columbia French Press, which hasn’t been used in about 2 weeks. 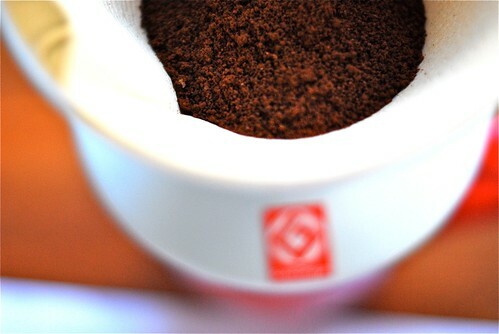 This entry was posted on Wednesday, July 14th, 2010 at 10:50 pm	and tagged with arabica coffee, Hario V60 and posted in Coffee Recipes, Coffee Tools. You can follow any responses to this entry through the RSS 2.0 feed. « What is an Italian Latte ?